Kung fu is a Western- catchall term for the Chinese martial arts, which served as an inspiration for many good movies, TV shows and cartoons. Chinese-themed pokies are nothing new in the online entertainment industry, but those titles were mostly based on the tradition and folklore. The Stellar Jackpots with More Monkeys is one of the first pokie machines set in the kung fu fighting scenery and you can play it across desktop, mobile and tablet devices. The game developer Lightning Box Games was founded back in year 2004 and their titles feature some rather new and interesting options. 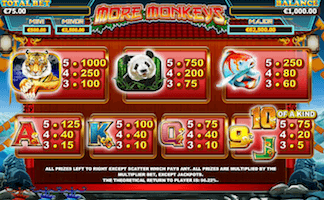 The Stellar Jackpots with More Monkeys pokie machine is a sequel to the More Monkeys game, this time enriched with the unique Stellar Jackpot feature. Practically, this works like progressive jackpots offered by some other providers – a part of the wager collected from the players all over the world is being collected in a special fund. 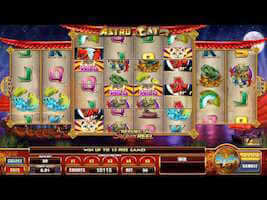 If lucky enough, a player may earn the particular game’s top prize along with the Stellar Jackpot. Play 600+ Pokies With $100 Free >> Play Now! 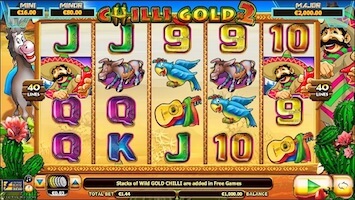 The Stellar Jackpots with More Monkeys is a 5-reel video pokie machine with incredible 1.024 ways to win and filled with rewarding bonus features such as free spins and a special wild icon that appears only on the reels 2 and 4 but replaces every other symbol with the exception of the bonus scatter. In order to score some coins, you need to form a winning combination of no less than 3 symbols of the same kind that appear on a paying line from the left to the right side of the screen. The game features a pack of themed symbols that will reward you with a lot of coins: collect 3, 4 or 5 Koi Carps, Pandas or Tigers to have your winnings multiplied up to 1000x. You will also find classic paying card icons, but you will benefit significantly less if manage to form a combination with those icons: all your winnings are a subject to the multiplier in a range from 5x to 100x. 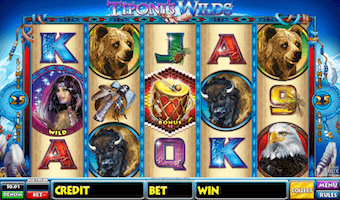 In addition to the high paying icons, the Stellar Jackpots with More Monkeys pokie machine also features scatters and wilds. Collect 3, 4 or 5 icons with the word “Bonus” written on it to start the free spins bonus round and enjoy additional 7, 10 or 20 games at the cost of the provider, respectively. Scatters can appear anywhere on the reels, which means you don’t have to line them up to qualify for the free spins bonus game. If you collect the Monkey King wild icon during this round, it will remain stacked on the 3rd reel, giving you some additional chances to for a winning combination. That’s not all, because it also grants another batch of 8 free spins or the 8x multiplier – the choice is up to you. You can also benefit from the randomly activated Stellar Jackpot feature that will take you to the spaceship-like screen and open a mini interactive bonus round. If you are skillful enough to make your way through all 6 asteroids, the game will award you with either a Mini, Minor or Major jackpot prize of $20, $100, or $2.500, respectively. The game offer top prize worth up to 5.000 coins, but you can also benefit from the Stellar Jackpots feature and score additional $2.500. The coin value ranges from $0.60 to $75 and you can bet with up to 60 coins per spin. 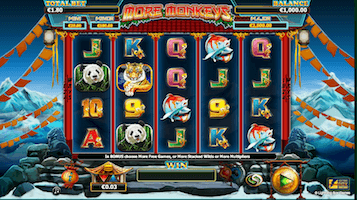 The Stellar Jackpots with More Monkeys is one of the latest additions to the Lighting Box pool of games. It is filled with some unique options and you can really benefit with this kung fu-themed pokie machine. Once the game takes you from the rural China to an asteroid field, you will have another chance to fill your pockets, this time with a lump sum of up to $2.500. The variety of betting options combined with a pack of rewarding features makes this game a good choice for the players of all experience levels. We also enjoyed the good graphics and interesting background music that looks and feels the same no matter if you play it on a desktop or a mobile device. 650 pokie games in one easy to use platform + $100 bonus.